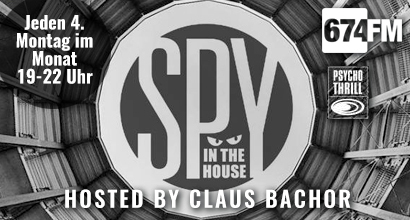 PSYCHO THRILL Cologne – founder CLAUS BACHOR is one of the German long-term House and Techno DJs at all, however not standing still yet: The Psycho Thrill club and vinyl label run by him has just turned 24 and Bachor is still doing bookings all over Europe, the United States and beyond. His long-term affiliations with Detroit techno music and also his journalistic involvement with the topic of Detroit Techno/ Electro/ Chicago-House as an author/editor over the years has made him a world-renowned expert. This experience and vast knowledge of the techno genre has led him to appear in many documentaries, the most notable being ‚High Tech Soul‘, which focused on the creation of Detroit techno music. Other film credits include being involved in the highly acclaimed ‚We Call it Techno‘ documentary which focused on Germany’s early techno scene and club culture. Without using the usual hype for trends, he has managed to gain a position as multi-communicator in the German Techno and House scene, in which he is always convincing as a DJ.